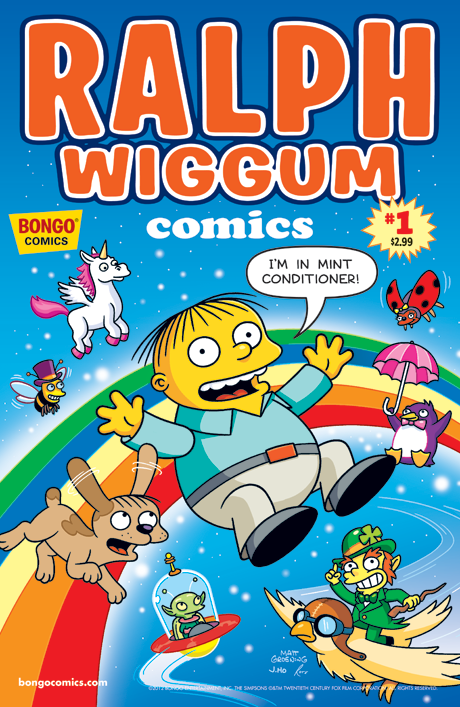 One of the covers of Ralph Wiggum Comics #1. 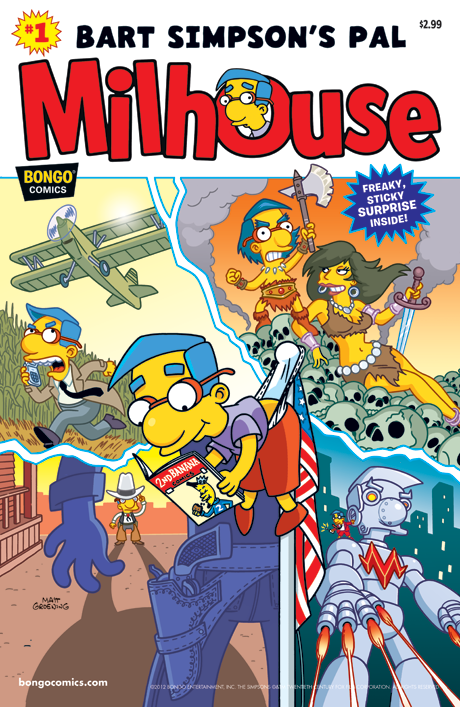 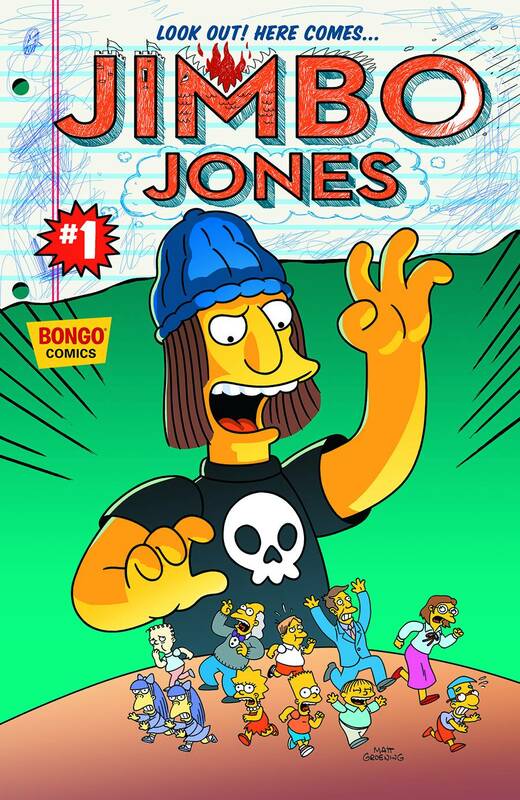 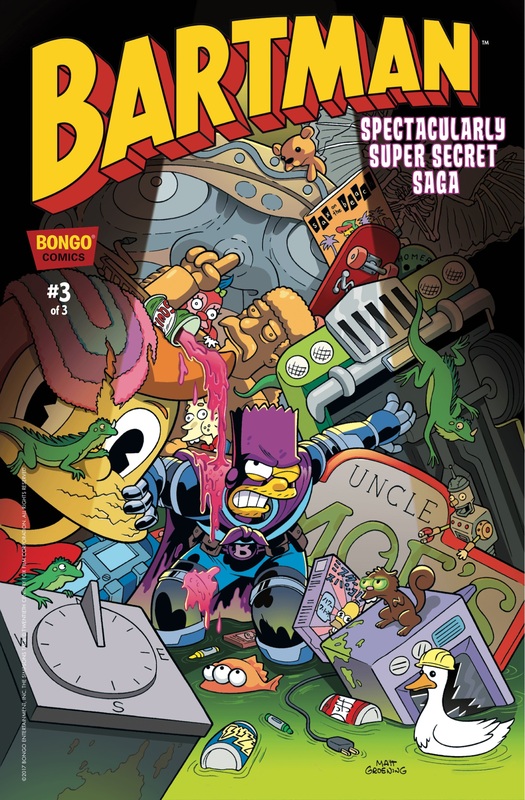 Simpsons Comics One-Shot Wonders is a line of one-off comics first released on February 29, 2012. 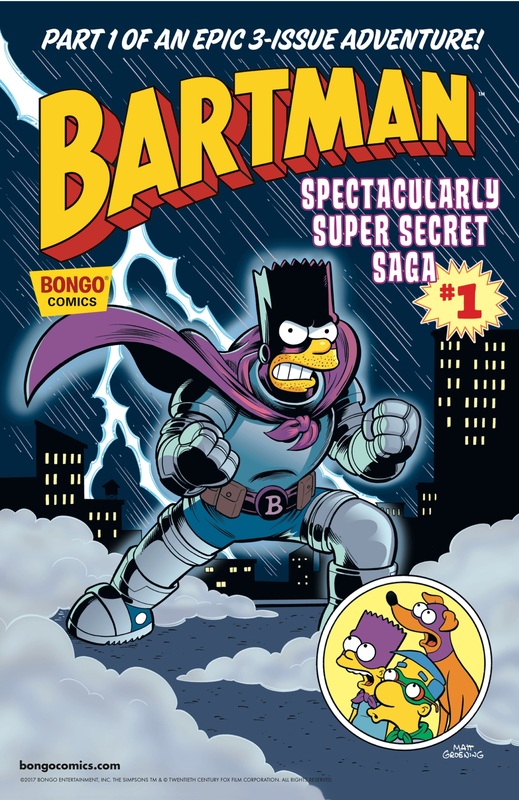 Each issue features a random character, with every story focusing on that character. 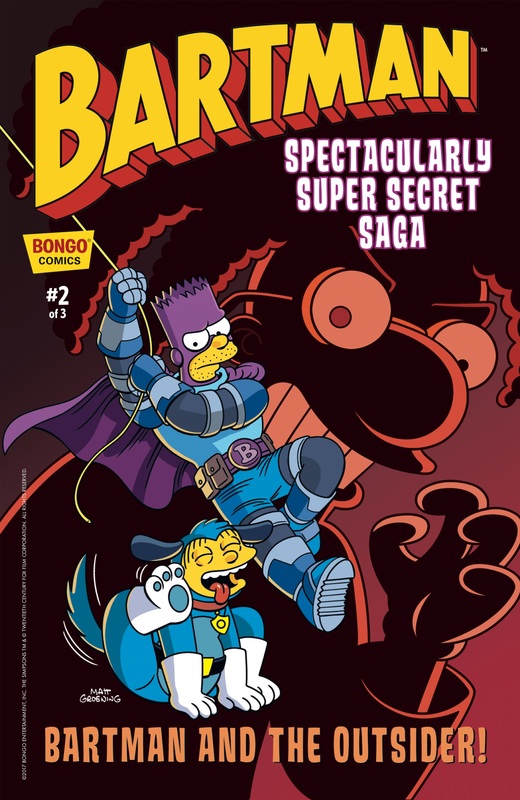 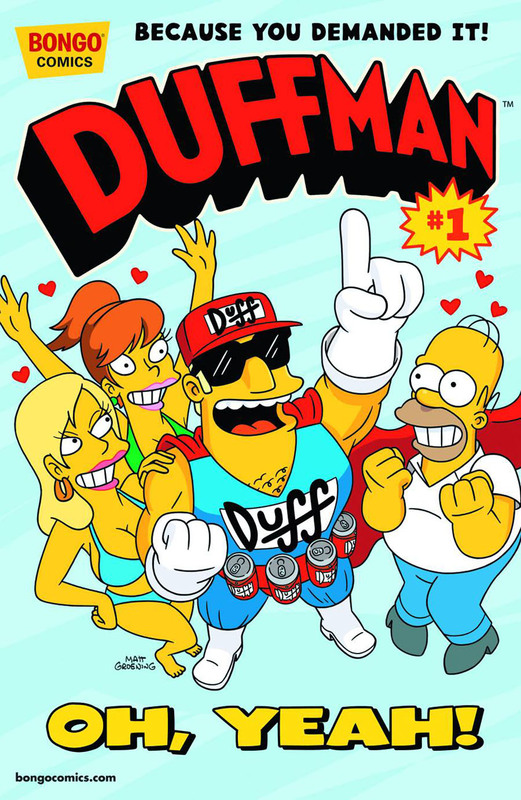 In August 2013, a UK version of this series started as part of Simpsons Comics Presents, starting with Li'l Homer. 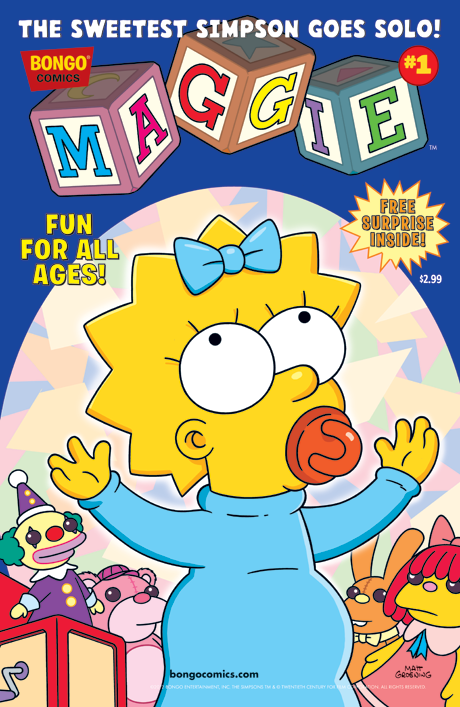 Since 2017, the series is only distributed by Simpsons Store. 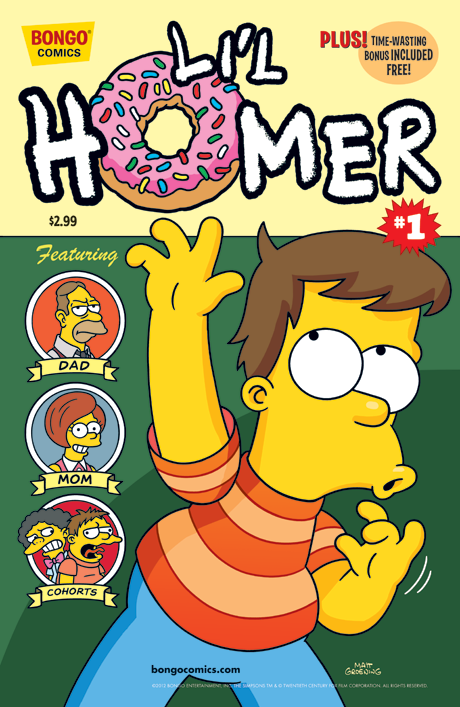 It's a Li'l Homer Dance Party! 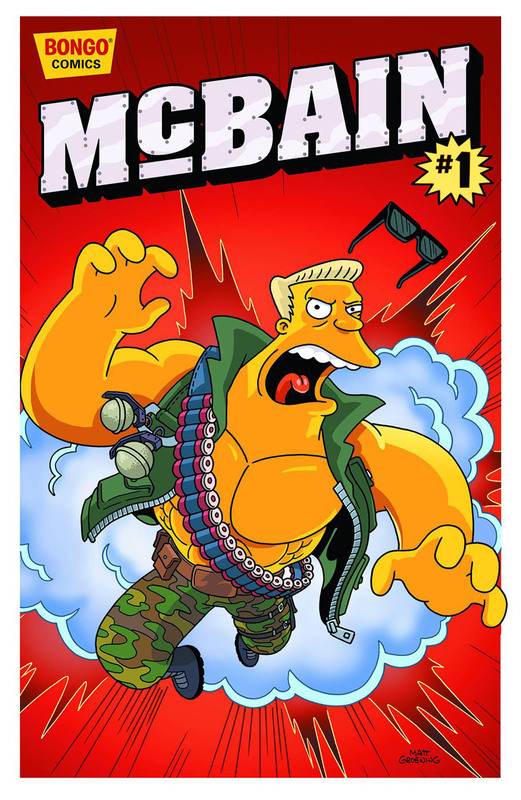 Springfield's Next Top Model Kit! 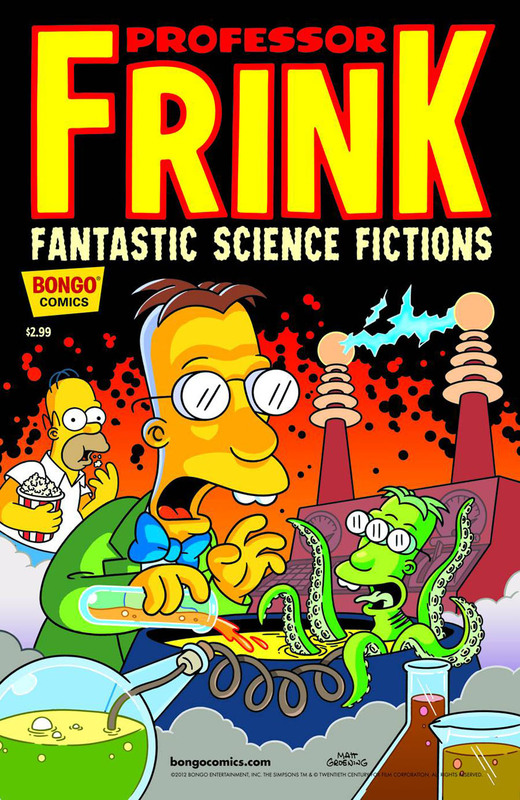 Professor Frink's Fantastic Science Fictions 1 Frink Sinatra! 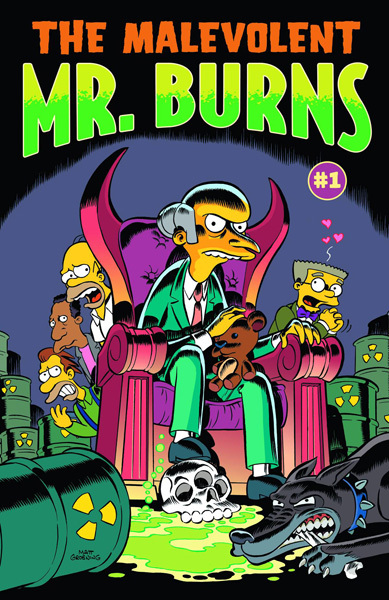 The Malevolent Mr. Burns 1 Little Monty Million$: Adventure on Bigfoot Mountain! 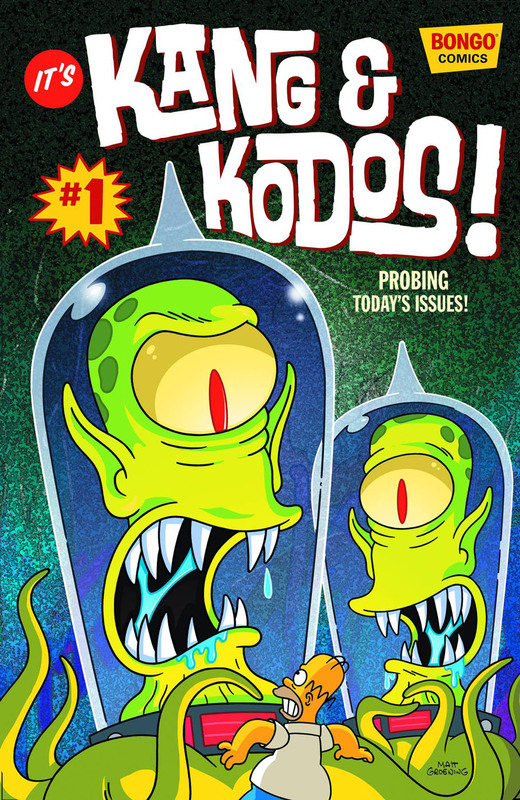 Kang & Kodos 1 The Big Kang Theory! 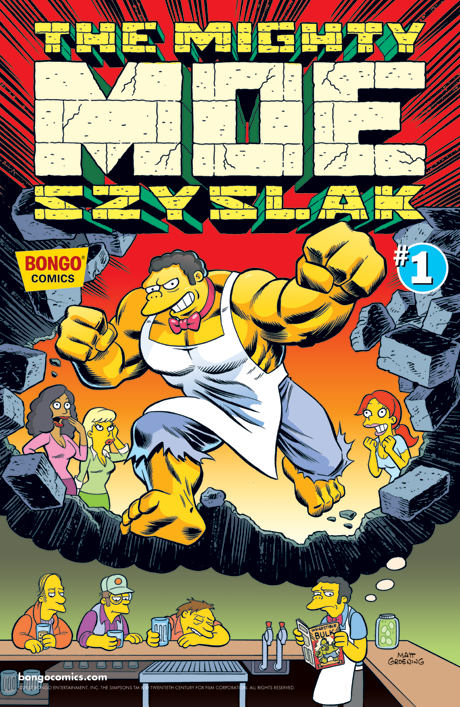 The Mighty Moe Szyslak 1 Moe-Brother, Where Art Thou? 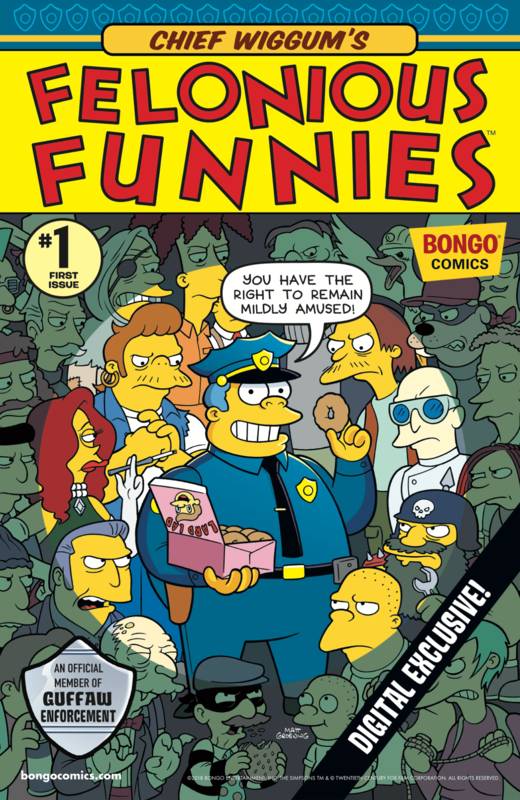 Chief Wiggum's Felonious Funnies 1 Future Cop! 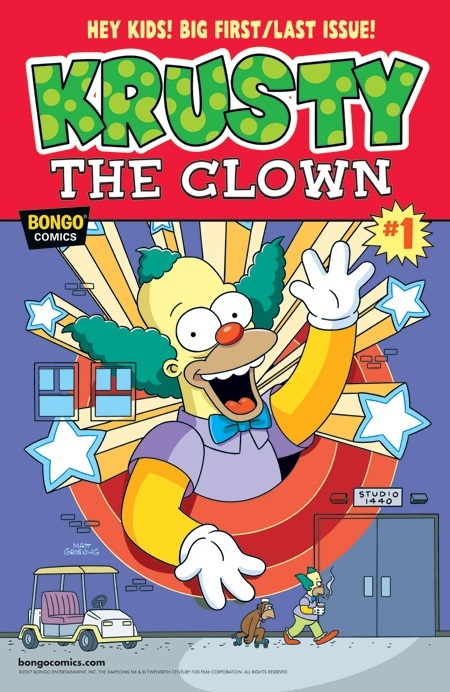 Modified on November 5, 2018, at 00:53.